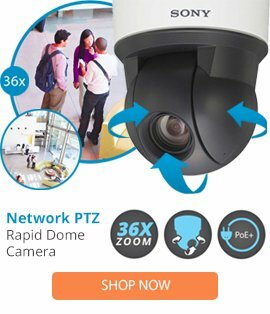 The MX-OPT14-L32 is a 32mm Tele Lens from MOBOTIX which is manufactured as an exchangeable lens to suit the M22M and D24M security cameras. The MX-OPT14-L32 Tele Lens features a vertical image angle of 45 degrees, a horizontal image angle of 60 degrees, as well as an image width of 11.5 meters, and an image height of 8.2 meters at a distance of 10 meters. The MX-OPT14-L32 32mm Tele Lens also comes with a real focal length of 6mm, an F2.0 aperture, plus a 35mm comparable equivalent to that of 32mm miniature camera. This compact lens is suitable for many surveillance applications, and can deliver clear images first time every time.